Nick Palma is a Stunt performer. He worked as Stunt player in the 1994 feature film Stargate. 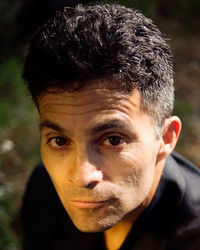 Palma has worked in several movies, including the 2003 film The Rundown (with Colin Anderson, A. Todd Holland as crew) and the 2012 film John Carter (with Colin Anderson as crew). This page was last edited on 1 May 2015, at 12:24.